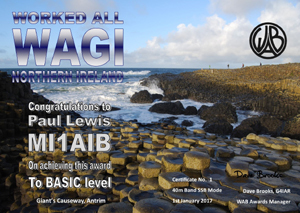 The Worked All GI (WAGI) Award is available for working W.A.B. Areas in Northern Ireland. Contacts must be made on, or after, the 1st January 2017. 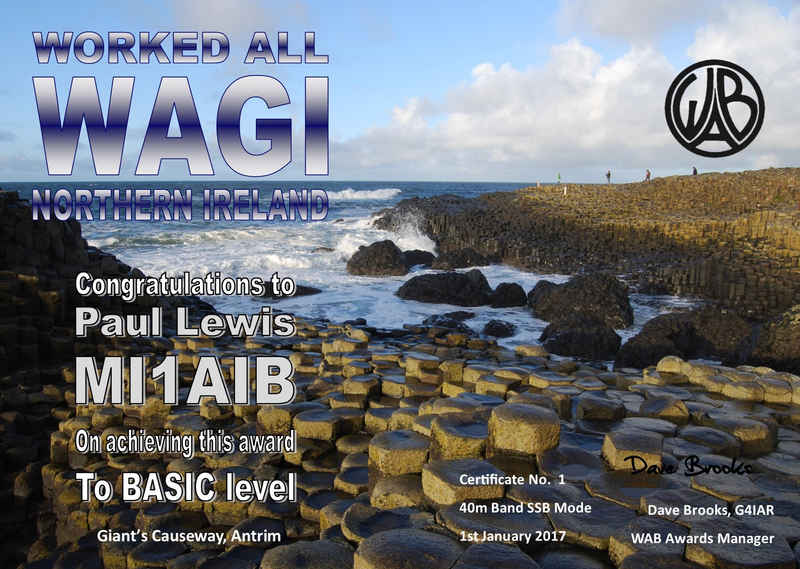 There are various classes of award (see below), with Trophies awarded for Diamond, Double Diamond (Mobile & Outside EU only) & Premier levels. Each can be claimed when the requirement is reached. The requirements are shown below.